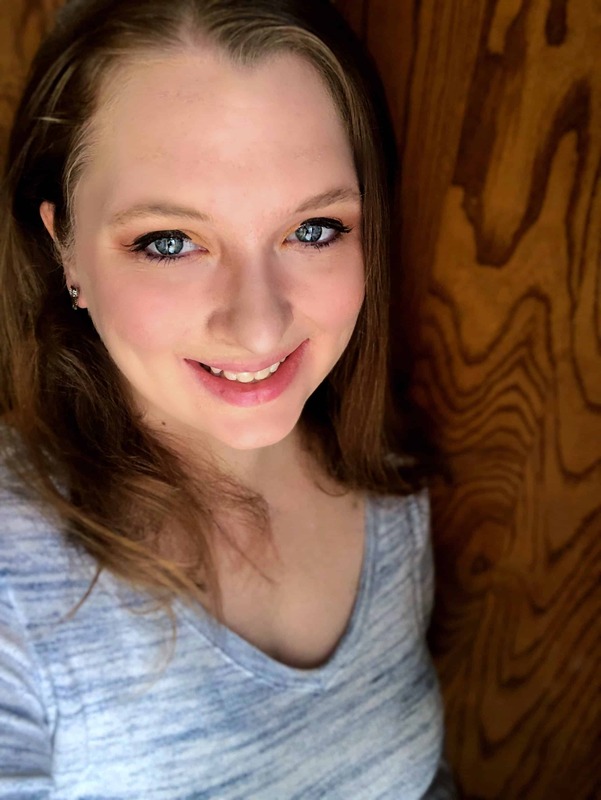 It’s been a little while since I shared a post about our homeschool. Something new that I implemented this year is the workbox crate system. This system works perfectly with our My Father’s World 1st Grade curriculum. I’ve seen a lot of talk about workboxes, but the set-up would just not work in our small space, and with so many kids, the workboxes would overtake our home! So, I decided the perfect solution would be to use workbox crates! 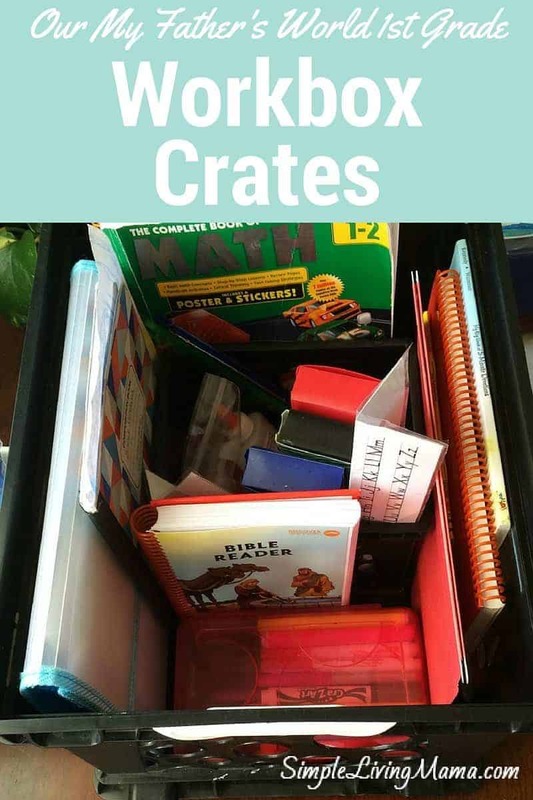 Since our curriculum is so open and go, I don’t use these crates like a traditional workbox system. Instead, I use the crate to store all of Bug’s homeschool materials. Here’s a quick overview of the crate. It’s a bit messy because I let my first grader take care of it. 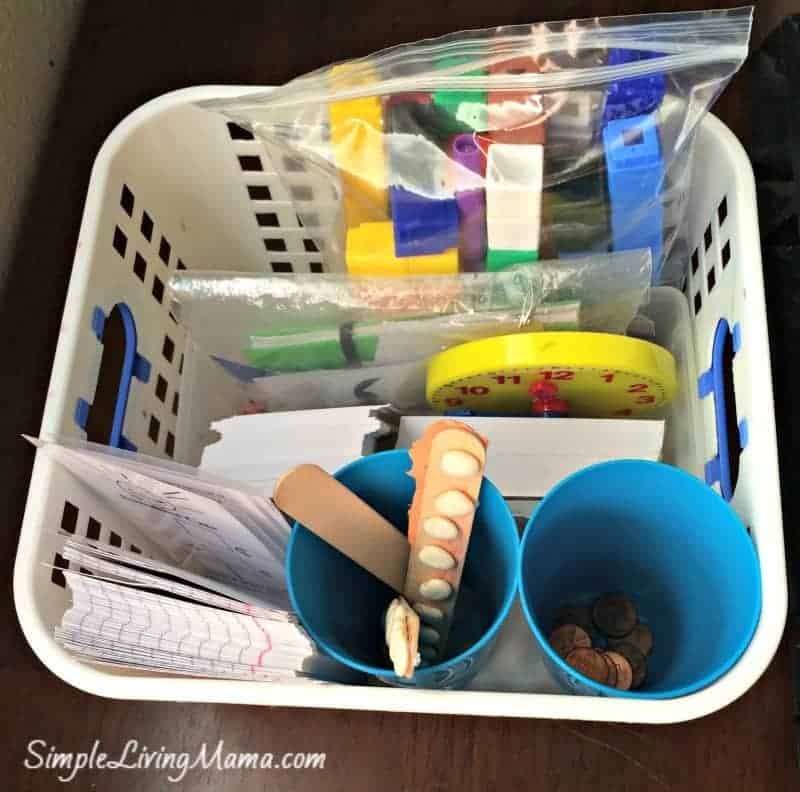 He has a pencil box with his markers in it, and then another mini-crate with all of his other supplies such as scissors, glue, a ruler, pencils, and his number line, and alphabet. I also keep his most used books in here. Right now we are using My Big Book of 5 Minute Devotions (such a great book), Things Outdoors, his Bible notebook, Bible Reader, his math book, and his workbook. The blue accordion folder is where he puts his completed work. 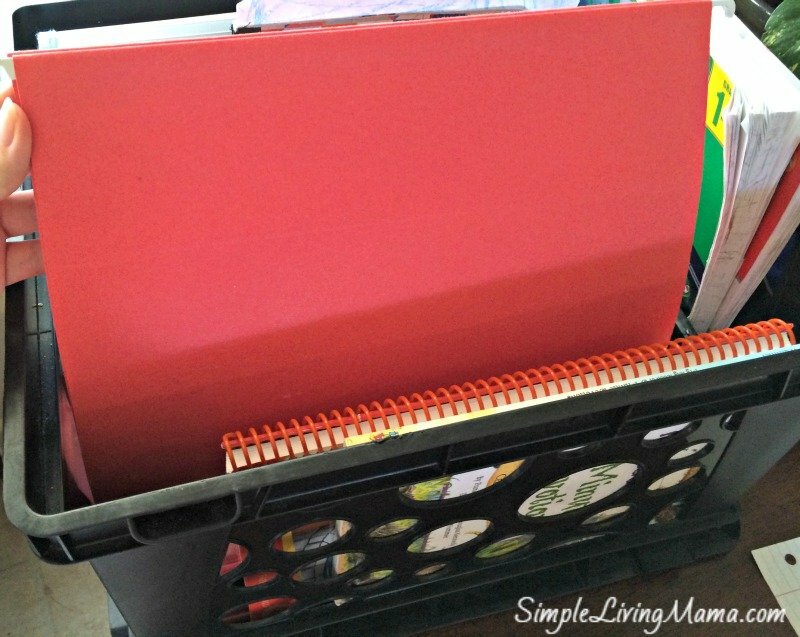 I use this file folder to put the loose worksheets he will do for the day. I also sometimes rip out his math worksheet, but not always. 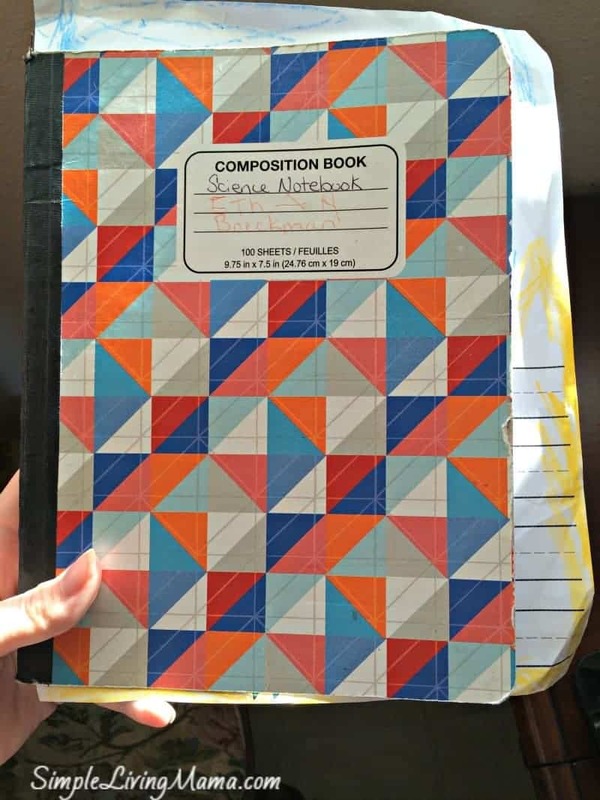 Here is his science notebook that we use once a week. I store all of our math materials in a different crate. This one includes his unifix cubes, bean cup, coin cup, flash cards, clock, expanded form cards, and some extra index cards. The portability of the crate makes it perfect for storing all of Bug’s first grade curriculum in one place. 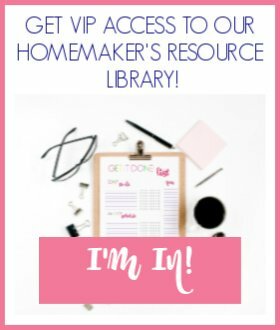 If I wasn’t using a boxed curriculum, I would set up several file folders for each subject and make a list for him to check off as he completed each item just like this one on See Jamie Blog. Because I do most of his work with him, I find that unnecessary. but will most likely implement that system when he moves toward more independent work! 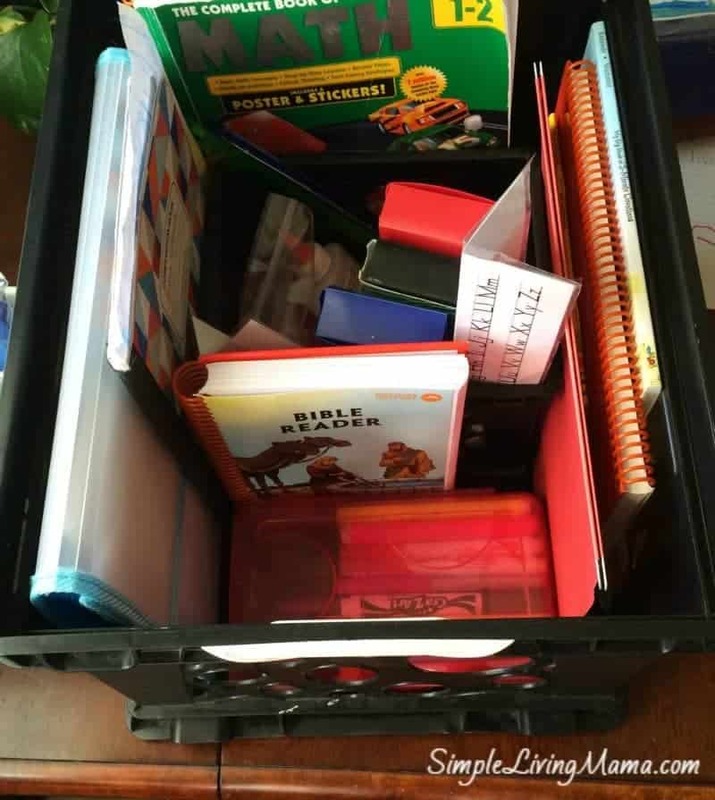 Do you use workbox crates in your homeschool? That would be a great idea, Mary!